The Cabinet Appointed Procurement Committee (CAPC) on behalf of the Secretary, Ministry of Rural Economy (MRE) of the Democratic Socialist Republic of Sri Lanka calls for Proposals from Investors to form a joint venture company with the Government of Sri Lanka (GOSL) for the proposed Project to Establish and Operate Cold Chain and Cold Storage Facilities for vegetables and fruits at Dambulla in the Matale district and Keppetipola in the Badulla district, in Sri Lanka. The interested Investors and/ or their partners shall have experience in farmer facilitation to improve the productivity and quality of local fruits and vegetables farmers. They must have experience in encouraging reduction of pre and post-harvest losses, establishing Cold Chain and Cold Storage facilities, operations and maintenance including marketing, aiming for steady supply and constant price for consumers throughout the year. Local and International establishments with proven experience in similar activities are invited to submit their Proposals for Public Private Partnership. Interested eligible applicants may obtain further information from Chief Accountant, (telephone +94 11 2556514, Fax +94 11 2556519) and inspect the RFP document at the Ground Floor, Finance Division, Ministry of Rural Economy, No. 492, R. A. De Mel Mawatha, Colombo 03, Sri Lanka or on the Ministry web site www.reco.gov.lk under Tender and Bids Menu. The complete set of documents for Request For Proposals in English should be obtained during normal working days (Monday – Friday) from the Chief Accountant, Finance Division, Ministry of Rural Economy, Ground Floor, No. 492, R. A. De Mel Mawatha, Colombo 03, Sri Lanka, by paying a non-refundable fee in Sri Lankan Rupees Twenty Five Thousand (Rs. 25,000.00) in cash. 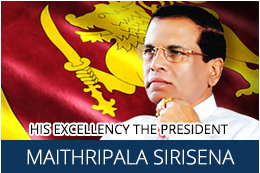 Each proposal must be accompanied by a Proposal Security of Sri Lankan Rupees Twenty Million (Rs. 20,000,000.00) in the format as stipulated in the document. Duly completed documents shall be submitted on or before 15:00 hours in Sri Lankan time on 28/11/2017 to The Chairman, Cabinet Appointed Procurement Committee, C/o The Secretary, Ministry of Rural Economy, No. 492, R. A. De Mel Mawatha, Colombo 03, Sri Lanka. Proposals will be opened immediately after the closing time of 15:00 hours. 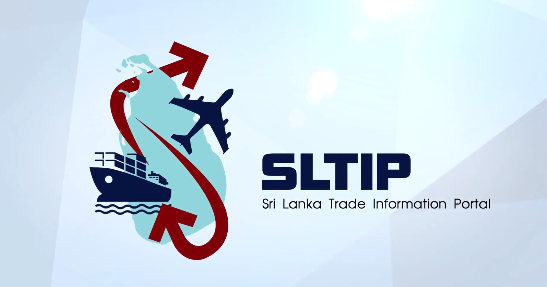 Documents for RFP should be submitted with two sets of copies marked “Original” and “Duplicate” with the title “REQUEST FOR PROPOSALS FROM INVESTORS TO FORM A JOINT VENTURE COMPANY WITH GOSL TO ESTABLISH AND OPERATE COLD CHAIN AND COLD STORAGE FACILITIES AT DAMBULLA AND KEPPETIPOLA, SRI LANKA”.